Dr. Cavaliere is Clinical Associate Professor in the graduate division of the School of Nursing at Stony Brook University. She earned a Doctor of Nursing Practice at the Frances Payne Bolton School of Nursing at Case Western Reserve, a Master of Science at the University of California, San Francisco, a Nurse Practitioner Certificate at Adelphi University in New York, and a Bachelor of Science at Hunter College New York. Professor Cavaliere is recognized nationally and internationally as a scholar, educator, author, and clinical expert in neonatology. Her foci of interest at the School of Nursing ate distance learning, adult education, and team based learningProfessor Cavaliere’s program of scholarship encompasses disparate but integrated areas and her current academic position is built on a strong clinical background. Her clinical practice centers on the provision of healthcare to high risk neonates and infants and the support of their families. The specialty of Neonatology was in its infancy when Dr. Cavaliere began her career. She quickly recognized the need for nurses with the advanced education and specific expertise to support the expansion of the Neonatal Nursing. The role of advanced practice nursing became particularly appealing, however, at that time there were few nurses with the education and expertise needed to serve as guide and mentor so she quickly became her own teacher. Thus began her interest in adult learning as she soon found herself teaching and mentoring her coworkers and colleagues. Dr. Cavaliere was instrumental in developing and teaching in one of the first Perinatal Nurse Education program in the country. Her abilities to teach and mentor flourished along with her clinical proficiency. It was exciting and rewarding to witness the evolution of Neonatology and Neonatal Nursing and to realize that she personally contributed to that growth. Professor Cavaliere is honored to have contributed to advances in safe & effective patient care. As technology advanced so did the need for attention to the ethical dilemmas that such advances engender. 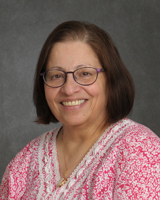 She had the opportunity to serve on the Council on Ethical Practice for the New York State Nurses Association and to participate in several bioethics committees in North Shore University Hospital. She has been active in many national committees and task forces and has contributed to creation of professional position papers and policies. She is also the author of many chapters in professional texts and articles in peer-reviewed journals. In addition to she has recently mentored novice authors to write for publication. There are two items of which Dr. Cavaliere is especially proud. The first is the fact that her DNP project, “Moral Distress in NICU RNs” was published and was the first research looking at the moral distress of NICU nurses. The article has been widely read by an international audience and she has been contacted by professional from countries such as Italy and Iran for more information about the topic. The second activity which is pleasing is participation in the process of certification of Neonatal Nurse Practitioners through the National Certification Corporation’s NNP Certification Examination Content Team. This requires that maintenance of current, high level of knowledge in the field. In addition to creating the certification examination she has been involved in writing and evaluating continuing education modules for OB and neonatal nurses. Professor Cavaliere’s research interests have broadened from clinical topics such as establishing benchmarks for ammonia levels and T-lymphocytes in premature neonates to ethical topics such as moral distress in health care providers and, most recently, to team based learning in distance education graduate programs. She remains actively engaged in clinical practice as an NNP in a Level III NICU but has recently transitioned from full time clinical practice to a full time academic position. Her educational philosophy is based on eliciting student cooperation in their own learning. She is confident that each student possesses the potential to learn and to grow. This influences the use of different teaching modalities, adapting them to meet individual student personalities and learning needs. She is engaged in incorporating team based learning (TBL) and collaborative testing into a distance education curriculum and, in collaboration with the director of the NNP program, had obtained a grant to implement this modality into the curricula of selected courses. One exciting short term result is an improvement in student satisfaction and level of engagement in Neonatal Pharmacology. Students are responding positively to the introduction of new technologies into the course. This has allowed closer contact between faculty and distance learning students. Dr. Cavaliere’s philosophy is that it is more productive, in terms of retention of information, to engage the students in their own education instead of teaching “at them”. She believes that education is a journey and not a destination. The nursing profession is dynamic and ever changing. Evidence-based practice demands attention and requires dedication to acquiring knowledge. Her goal is to help students understand how they learn and, ultimately to become life-long learners. Cavaliere, T.A. (2016). Transition to extrauterine life: An extraordinary journey. Neonatal and Infant Nursing Reviews, 16(2): 43 – 47. Cavaliere, T. A., & Arias-Oliveras, A. (in press). Critical conversations for sensitive situations. In S. Bellini & M. Beaulieu (Eds.) Case based learning for advanced practice neonatal nurses. New York, NY: Springer Publications. Cavaliere, T. A. (in press, 2nd edition). Neonatal assessment. In Bissinger, R.L. & Annibale, D.J. (Eds.) Golden hours: Care of the very low birth weight infant. Chicago, Ill. National Certification Corporation. Cavaliere, T. A. (2016). Development of the neonatal immune system. In D. Frasier (Ed.) Identification and management of neonatal sepsis, 2nd edition, Petaluma, CA: NICU Ink. Cavaliere, T. A. (2015). Physical assessment of the neonatal genitourinary system. In E. Tappero, & M.E. Honeyfield (Eds.). Physical assessment of the neonate, 5th edition. Petaluma, CA: NICU Ink. Gambino, K., Della Ratta, C., Janotha, B., Colletti, G., & Cavaliere, T. A. (2015). Team-based learning in online nursing education: An innovation in curriculum development. In L. Caputi (Ed.) Building the future of nursing, vol. 3, pp. 135 – 138. Philadelphia: Walters Kluwer. Cavaliere, T.A. & Sansoucie, D.  (2014). Physical assessment of the infant. In C. Kenner, and J Lott. (Eds.) Neonatal nursing. A physiologic perspective, 5th edition, New York: Springer. Taskforce on Fatigue and Shift Length. (2014). The Impact of Advanced Practice Nurses’ Shift Length and Fatigue on Patient Safety. Glenview, Illinois: National Association of Neonatal    Nurse Practitioners. Task Force on NNP Education. (2012). Education Standards for Neonatal Nurse Practitioner Programs. Glenview, IL: National Association of Neonatal Nurses. Cavaliere, T. A. (2012). Cardiac Resource Guide. Glenview, Illinois: National Association of Neonatal Nurses. Cavaliere, T.A., Daly, B., Dowling, D., Montgomery, K. (2010). Moral Distress in NICU Registered Nurses. Advances in Neonatal Care, 10(3), 145 – 156. Timoney, P.M., & Cavaliere, T.A. (2016). Effectiveness of Team-Based Learning in an Asynchronous Distance Education Graduate Nursing Course. Poster presented at the 15th Annual Team Based Learning Collaborative Meeting in Albuquerque, NM. Cavaliere, T. A. (2015). Are You Smarter than a Neonatal Fellow? Neonatology Review. Invited presentation at the NNP Clinical Update and Review Symposium of the Florida Association of Neonatal Nurse Practitioners, Clearwater, FL. Cavaliere, T. A. (2015). Ethics and Genetics: Should the Ends Justify the Genes? Invited presentation at the Annual Educational Conference of the New York City Association of Neonatal Nurses, NYC, NY. Cavaliere, T.A. (2013). Moral distress: When Hearts and Minds Collide. Guest Lecturer, DNP Students; School of Nursing, Stony Brook University, NY. Cavaliere, T. A. (2011). “Writing Exam Questions for NNPs”. Invited presentation at the National Advanced Practice Nursing Forum for the Vermont & New Hampshire Regional Perinatal Programs, Washington, D.C.
Cavaliere, T. A. (2010). Genetics and Genomics: What Every Neonatal Nurse Needs to Know. Invited workshop presentation at the 26th Annual Educational Conference. National Association of Neonatal Nurses. Salt Lake City, UT.